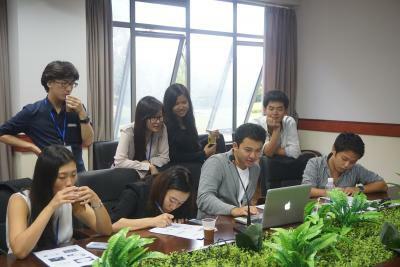 The College of Economics successfully completed the China visit round of this year’s Asia Dialogue on September 30th. This year 12 students, a record number, made the trip to our partner institutions East China Normal University and Beijing Normal University. They were led by Associate Professor Jun Kajima, whose Chinese language skills and tremendous organizational efforts ensured the logistical side of the program ran smoothly. Associate Professor Taku Ishiro and Professor Alexander McAulay were also on hand to represent YNU. 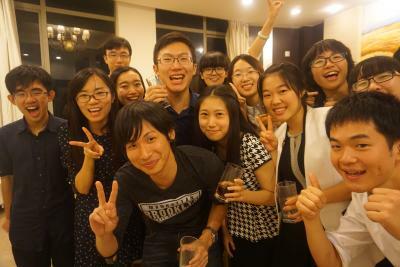 Asia Dialogue, now in its fourth year, is a year-long program that sees YNU students visit Shanghai and Beijing in September, with ECNU students coming to YNU in November, followed by BNU students in January. Student costs are supported by JASSO grants and internal funding from Y60 and other sources. This year, in a packed program, the YNU cohort discussed ‘Inequality’ with ECNU students, giving presentations on the situation in Japan from an economic perspective. The Dialogue session allowed both groups to compare and contrast inequality in both countries from various perspectives. In addition, students took part in lectures on ‘Economic Growth and Income Inequality in China’, and visited suburban areas of Shanghai to consider urban planning and the cultural and social history of the city. 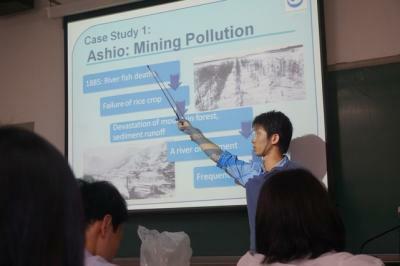 In Beijing, the Dialogue topic was Water and Air Pollution, an issue very much in focus in Beijing these days. 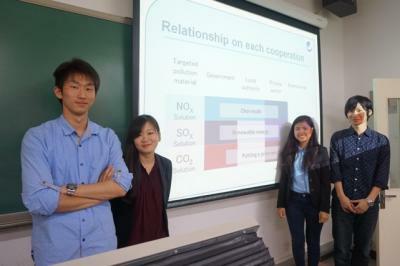 The YNU group outlined the history of pollution in Japan and measures put in place to tackle the various problems, including legislative acts. They also explained the recent Choi-mobi car sharing innovation that took place in Yokohama, a topic which attracted the curiosity of the BNU students. 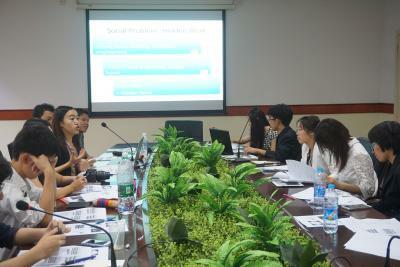 A series of lectures including ‘Transition and sustainable development of resource exploitation cities,’ ‘System ecology process: A case study of Inner Mongolia grassland,’ and ‘Urbanization and urban ecology’ stimulated and edified the visiting YNU cohort, providing richer context to the presentation and debate sessions. As well as the extensive academic sessions, students found time to visit historical sites such as The Great Wall and socialize with their Chinese peers. Thanks to the hard work of all involved on the YNU side, and the tireless efforts and generous hospitality of our Chinese colleagues, an invaluable educational experience was had by all, and many lasting friendships were formed. On their return to YNU, College of Economics participants immediately knuckled down to the task of preparing to host their Chinese peers later in the academic year.